The UMKC School of Medicine Community and Family Residency Program has announced that Chadwick Byle, M.D., and Kevin Munger, D.O., M.S., will take on leadership roles as the program’s chief residents for 2017-18. Byle received his medical degree from the University of Missorui-Columbia. Munger is a graduate of the Des Moines University College of of Osteopathic Medicine. 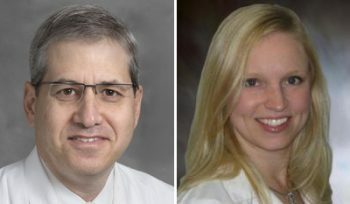 As chief residents, Byle and Munger will serve as liaisons between program residents and faculty, representing the interests and serving as spokesmen for residents. They also serve as a role model, providing oversight and educational leadership. 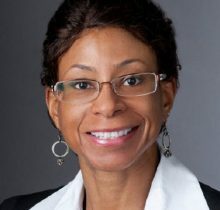 Daphne Bascom, M.D., will be the keynote speaker for the School of Medicine’s 12th annual Dr. Reaner and Mr. Henry Shannon Lecture in Minority Health at noon on Friday in Theater A. Bascom is the senior vice-president of community integrated health for the Greater Kansas City YMCA. With more than 10 years’ experience as a physician executive, Bascom is an expert in clinical integration, performance improvement, and the design and deployment of health information technology systems. Before joining the YMCA, she was vice president and chief medical officer for physician alignment at Cerner Corporation. There, she provided strategic consulting services to health-care executives on how to use health information technology to improve quality, safety, operations and the fiscal health of their organizations. Bascom also served at Cerner as chief medical officer for worldwide consulting and chief medical information officer and was recognized as Healthcare Executive of the Year. Before working at Cerner, she was the chief clinical systems officer for the Cleveland Clinic Health System in Cleveland, Ohio. She is a board-certified specialist in otolaryngology/head and neck surgery and has fellowship training in microvascular surgery of the head and neck. Dr. Bascom is a graduate of the University of Pittsburgh School of Medicine and completed her residency training at the University of Pittsburgh Medical Center. She earned her Ph.D. in physiological sciences at the University of Oxford Laboratory of Physiology in the United Kingdom. The School of Medicine announced the appointment of Nurry Pirani, M.D., assistant professor of medicine, as the next associate dean for curriculum and chair of the curriculum council. Her appointment began February 13, 2017. Stefanie Ellison, M.D., professor of emergency medicine, has completed a seven-year term as associate dean and curriculum chair. Ellison will remain a part of the leadership team and continue to develop interprofessional education and other learning initiatives. 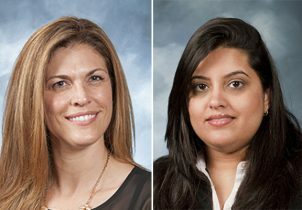 Pirani joined the School of Medicine faculty in 2011 as a docent. She has served as the clinical vice chair of the curriculum council since 2014 and as chair of the clerkship director’s subcommittee since 2014. She also has served as chair of the clinical competency committee and as associate program director of the Internal Medicine Residency program. As chair of the curriculum council, Pirani will see that the medical school curriculum complies with all LCME accreditation standards, integrate council policies and procedures, and coordinate the overall structure and goals of the council. Ellison has served as associate dean of curriculum and curriculum council chair since January of 2010. Under her guidance, the School of Medicine’s Experience-Based Curriculum Guide was rewritten, bringing the general competency objectives up to date and aligning them with the Accreditation Council for Graduate Medical Education’s established competencies. She also has been one of the organizers for the UMKC health sciences schools’ interprofessional education program. School of Medicine students planning to participate in the annual Health Sciences Research Summit on April 26 at the UMKC Student Union can now submit their abstracts through an online portal. Abstracts and posters must be submitted to the School of Medicine’s Office of Research Administration through the online portal by March 17. A School of Medicine poster template and complete poster guidelines are also available online through the Office of Research Administration. School of Medicine students will again join students from the schools of Dentistry, Pharmacy, Nursing, Biological Sciences, Engineering and Arts & Science at the UMKC Student Union in the research summit. This is the sixth year that each of the schools are participating in the program at one venue on the Volker Campus. The event provides the UMKC health sciences students the opportunity to display posters that highlight their research efforts and fosters collaboration across disciplines and schools that are generating economic, health, education and quality-of-life benefits for the Kansas City community. 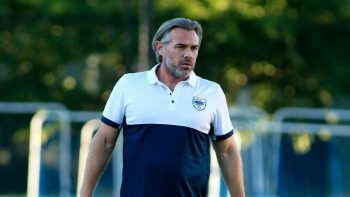 Fred Schlichting, who spent 18 seasons as a coach with the UMKC men’s soccer team, has joined the School of Medicine as Director of Advancement. Schlichting brings an extensive background in event and logistics management, communications and relationship building to his new role. Schlichting was responsible for coordinating the day-to-day administrative operations of the men’s soccer program while also serving as the team’s recruiting coordinator. He served as head coach Rick Benben’s top assistant from 1997 to 2008, before being promoted to associate head coach prior to the 2009 season. UMKC advanced to postseason play in 15 of Schlichting’s 18 seasons as assistant coach. A native of St. Louis, Schlichting has also been active in youth soccer and was named the 2005 Kansas Boys Coach of the Year. Prior to joining the UMKC soccer team, Schlichting played at Notre Dame from 1991 to 1993, winning the Freshman Award in 1991. He graduated from Notre Dame in 1995 with a bachelor’s degree in psychology. Schlichting and his wife Maria reside in Leawood, Kansas, with their daughters Sophia and Stella. 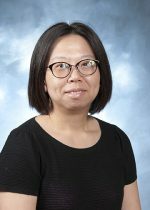 The School of Medicine has announced the appointment of An-Lin Cheng, Ph.D., as director of the Research and Statistical Consult Service in the Department of Biomedical and Health Informatics. A tenured faculty member in the UMKC School of Nursing and Health Studies for the past 10 years, Cheng has also held a joint appointment at the School of Medicine in Biomedical and Health Informatics since 2011. Her primary roles will be to lead the Research and Statistical Consult Service and collaborate with researchers on the UMKC Hospital Hill Campus. She will provide expertise and advice on proper research design and assistance to researchers in ethical and accepted methods of data analysis and interpretation. Cheng has extensive experience handling large data sets and conducting secondary data analyses. Her primary research interests have involved the development of statistical methods for the design and analysis of data in clinical trial studies. She has collaborated with researchers from a wide range of disciplines including medicine, dentistry, nursing, biomedical engineering, environmental sciences, statistics and biostatistics. Faculty, residents, fellows and students are invited to contact Cheng early in their research process to request support. Guidelines and an application for the Research and Statistical Consult Service can be found on the Department of Biomedical and Health Informatics website at http://med.umkc.edu/dbhi/consultation/. 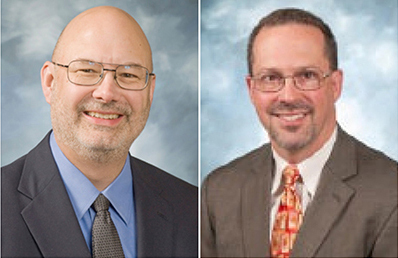 The UMKC School of Medicine has announced recent appointments in the Department of Surgery. Dr. Glenn Talboy, a long-time member of our faculty, will serve as the next Chair of the Department of Surgery (beginning in mid-August) and as Program Director for the surgery residency (effective immediately). While Dr. Talboy is completing his obligations at the Kansas City VA Hospital, Dr. Steven Glorsky will serve as Interim Chair of the Department of Surgery. Dr. Talboy received his M.D. degree from Creighton University School of Medicine and completed his residency here at UMKC School of Medicine. He served as interim chair of Surgery from 2008-2011 and is a past president of the Missouri Chapter of the American College of Surgeons. Dr. Glorsky received his M.D. degree from Mount Sinai School of Medicine and completed his residency in general surgery at the Hospital of the University of Pennsylvania. He then completed a fellowship in surgical critical care at the University of Texas–Houston Medical School. Dr. Glorsky is board certified in both general surgery and surgical critical care. Mark Lowry Friedell, M.D., F.A.C.S., died late Sunday, July 10. Dr. Friedell came to the UMKC School of Medicine in 2012, where he had served as professor and chair of the Department of Surgery. He earned his bachelor’s degree from Beloit College and his medical degree from the University of Bologna in Italy, followed by a residency at University of Massachusetts Medical Center and fellowship at Newark Beth Israel Medical Center. Prior to joining UMKC, he was a clinical associate professor of surgery at the University of Central Florida, academic chair of surgical education for Orlando Regional Healthcare/Orlando Health and program director of general surgery for Orlando Health. A celebration of life will be held 3 p.m. on Sunday, July 17 at Orlando County Club, Orlando, Forida. In lieu of flowers, donations are request to: Level 1 Trauma Center, Orlando Regional Medical Center, give.orlandohealth.com/ORMC, in memory of Dr. Friedell. The School of Medicine has announced new leadership in the Department of Radiology. Jeffrey Kunin, M.D., has been appointed interim chair of the department. Kelli Andresen, M.D., will serve as the department’s residency program director. These positions were previously held by Lisa Lowe, M.D., who resigned after serving in the Radiology department since 2007. Both appointments are effective immediately. Kunin is a clinical associate professor of radiology and chairman of the Saint Luke’s Hospital Department of Radiology. He received his medical degree from the University of Texas-Medical Branch and completed his residency in radiology at the Medical College of Virginia and Henry Ford Hospital. He completed a fellowship in magnetic resonance imaging at the University of Michigan. His special interests include thoracic imaging, quality improvement, and radiology operations. Under Dr. Kunin’s leadership, the Department of Radiology will continue its important role in the School of Medicine’s education and research programs, said School of Medicine Dean Steven Kanter, M.D. Andresen, a clinical associate professor at Saint Luke’s Hospital, received her medical degree from the University of Iowa School of Medicine. She completed her radiology residency at the May Clinic and a fellowship in abdominal imaging at the University of Iowa. She has served as associate director of the Radiology residency since 2011 and was honored as Educator of the Year by radiology residents in 2015.